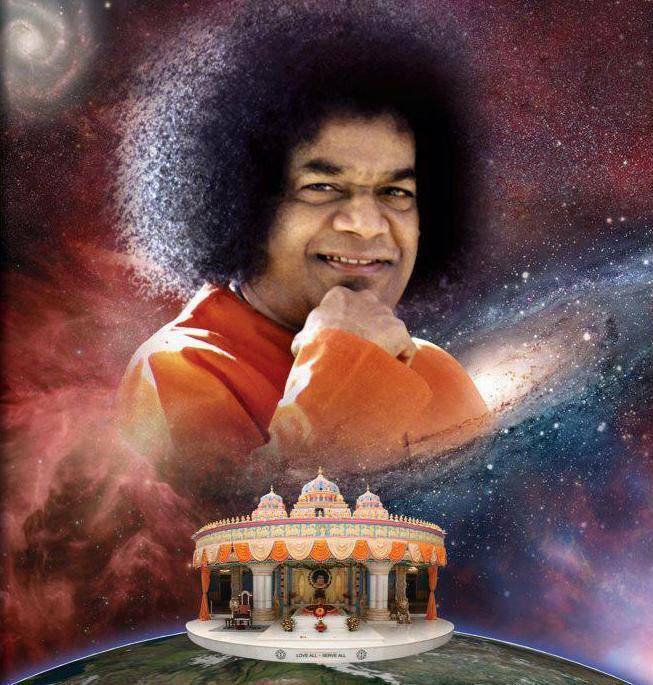 I am very happy to be given the opportunity to share my experiences with Bhagavan Sri Sathya Sai Baba on this auspicious Avatar Declaration day. First what is an Avatar? Anyone have a clue? Sai Baba has said that there are fifteen signs of a self realized being and these can be achieved through spiritual discipline and sadhana. The sixteenth sign manifests only in a true avatar. The sixteenth sign is absolute omnipotence, omniscience and omnipresence. This is the glory of Sathya Sai Baba. Sathya Sai Baba declared Himself as “Avatar of Sai Baba” on October 20, 1940, in Uravakonda Village, Andhra Pradesh, India. He was 14 years old when this occurred. Sri Sathyanarayana Raju became “Bhagawan Sri Sathya Sai Baba”. According to Sri N. Kasturi this is what happened: "On the 20th day of October, 1940, the day after they all returned from Hampi by special bus, Sathyanarayana started for school as usual. The Excise Inspector of the place, Sri Anjaneyulu who was very much attached to the little Baba, accompanied Him, as far as the school gate and went home, rather reluctantly. He seemed to see a superb halo, round the face of Baba that day and he could not take his eyes away from that enchantment. Within a few minutes, Baba too turned back to the house. Standing on the outer doorstep, he cast aside the books He was carrying and called out, "I am no longer your Sathya." "I am Sai." The sister-in-law came from the kitchen and peeped out; she was almost blinded by the splendour of the halo, which she saw around Baba's head! She closed her eyes and shrieked. Baba addressed her, "I am going; I don't belong to you: Maya has gone; My Bhakthas are calling Me; I have My Work; I can't stay any longer." And, so saying, He turned back and left in spite of her pleadings. "When finally the formal announcement was made by Sathyanarayana that He was Sai Baba, of Bharadwaja Gothram, Apasthamba Sutram, and of Shirdi, he was asked, "If you are Sai Baba, show us some miracle now! ", and, the boy, said, "Bring me some jasmine flowers"; when they were placed in His hands He threw the flowers on the ground and, lo, they fell in the form of the Telugu letters, Sayi Baba, flower behind flower, as if arranged with meticulous skill, all the curves and convolutions of the Telugu letter perfectly reproduced!" Here is a video clip in which Swami Himself describes His Avatar Declaration. Since that time Bhagavan Sri Sathya Sai Baba has demonstrated His Omnipotence, Omniscience, and Omnipresence in many, many ways. He has built schools, universities, general hospitals, super specialty hospitals, water projects. All free of cost aimed at alleviating suffering and uplifting the moral conduct and conscience of mankind. Here is a video of "His Work" and great Seva Projects. Over the years I have traveled to India 12 times. Most of these trips were to Sathya Sai Baba's ashram in, Prashanti Nilayam. From Sathya Sai Baba I have learned a way of life that has brought great spiritual transformation. I have also journeyed to the Himalayas in North India twice, in 2009 and 2012, 12,000 feet above sea level to a place I can only describe as the threshold of Heaven, Badrinath. This was a dangerous, arduous trek, but well worth the effort. India is such a sacred and beautiful land, I feel very grateful to Bhagavan for allowing me to imbibe the holy vibrations of this country. As a result of my travels and inner explorations, I have written 2 books that embody these adventures and transformations: the first book is Sai Rapture, The Ecstatic Journey of a Modern Day Gopi. And the second book is 108 Bhakti Kisses, The Ecstatic Poetry of a Modern Day Gopi. I first came to Sathya Sai Baba in 1990, after reading the fascinating book The Holy Man and the Psychiatrist, which describes the experiences of an American psychiatrist, Dr. Samuel Sandweiss with Sathya Sai Baba. My first husband and I became very interested in knowing more about this mysterious person. Sai Baba came in a dream around this time inviting us to India and that began a series of pilgrimages to the ashram and ultimately to His Lotus Feet. The teachings of Sai Baba were universal, tolerant of other faiths with the emphasis on leading a life of loving service, right conduct, peace, truth and nonviolence. There was such a deep love and peace emanating from Sai Baba, which made Him so irresistible that I just couldn't stay away for long and found myself crossing the Atlantic Ocean time and time again. Another incredible thing is that my relationship with Sai Baba was not limited to His physical presence, Sai Baba would come to me in dreams and in astral projections, guiding me as He has thousands of other devotees. His great service projects were another huge attraction. Around the year 2000, my first husband and I were going through very difficult times. Swami came in a dream and told me that my husband was changing, I remember saying to Swami “Oh Swami I hope we don't break up.” Consequently, we divorced in 2001. In 2003 I retired from my job and was able to spend 6 months at the ashram with Sai Baba's permission. Now I still hadn't settled all the financial baggage that came with the divorce. After the 2003 trip I returned to the states to face that challenge. After the 2003 sojourn, I went directly to Florida where my parents lived. Finally, I was ready to deal with the financial baggage that had to be settled between my ex-husband and myself. We owned a house in common and property in Arkansas. He was still in the house and our checking account was joint as well as a lot of credit cards. It was really a terrible mess, but something that had to be faced and straightened out. I stayed with my parents for six months. During that time, I began looking for a lot in Palm Bay to build a home on. The prices of lots were astronomical and climbing daily. I kept searching and couldn't find anything remotely reasonable. At one point I said to Swami, “Well, maybe you don't want me to live here,” and surrendered my search. Shortly after that inner conversation, a lot across from my parents' house sprang up for sale. It was a cleared 1/4 acre lot. I immediately called the owner and we arranged to meet. He wanted to sell the lot for $11,500, which was unheard of in this area; most uncleared lots were selling for $18 to 20,000! I jumped on it and using a small personal savings was able to purchase it. My sister and her family encouraged me to look for builders. I found a good local builder and set about making plans to have my new home built. Meanwhile, the marital residence in Arkansas needed to be repaired and sold. I took a trip there to finish that business. My ex-husband had always handled bills and finances. When I started looking at the credit records, I realized that we were in enormous credit card debt. I discussed this with him and he said he couldn't help financially with any of this shared debt between us because he had accumulated his own personal debt. Since I was the primary credit card signer, it was all on me (and Baba). Not too long after this spiritual conversation, I received notification that a dear friend of mine from New York had passed away leaving me a good sum of money. I went to NY and conducted his funeral arrangements. The inheritance I received was enough to pay off half the joint debt, helping me to get my finances in better order. The only thing left was to sell the house in Arkansas. Construction work on my house in Florida was scheduled to begin. There were a lot of delays due to building permits, etc. The Arkansas house was on the market but weeks went by with no offers. In June 2004, Swami came to me in an exceptional, revealing dream. My ex-husband and I were with Swami. Swami answered our questions. My ex kept complaining that nothing was working out for him; he was going through hard times and couldn't understand why. He said to Sai, “I am totally focused on God, loving and serving, and I haven't caused pain to anyone.” Swami looked at me and said, “No unseen pain.” I replied, “Yes Swami he has caused me a lot of emotional pain.” Then Swami turned his attention on me. He talked affectionately to me about a lot of things. I can't remember all the details. I remember He placed his hands over my eyes and said, “Look, I am going to give you a whole new house, and a whole new life.” I could see a vision of a house and partially the inside of the house. I laid my head on Swami's holy chest saying repeatedly how much I loved Him. He clasped me close and whispered in my ears, over and over...“If you Love Me Say My Name ...” I responded bubbling with ecstasy, but the words were peculiarly difficult to pronounce. With great effort I said, “Om Sai Ram! Om Sai Ram!” When I awoke, I felt like I had been transported to the highest heavens. I felt reassured that the house would sell. But the testing wasn't quite over yet. Due to summer hurricanes, work on the Florida house was delayed and not completed until November. It was the end of October and the Arkansas house was still not sold. I went to visit a friend in North Carolina. I remember walking downtown, feeling very concerned. “Swami,” I said earnestly, “You told me you would give me a new home, I just need to have total faith.” Shortly after this inner conversation, I saw a little gift shop and felt drawn to go in. An Indian sales lady approached me trying to get me to buy some dresses. I told her that I had plenty of clothing from a trip to India and really didn't need anymore. She asked, “Where did you go in India?” When I mentioned Sai Baba's Ashram, she screamed, “Sai Ram!” and grabbed me, hugging me excitedly. As you can tell she was also was a Sai devotee. I felt this was a good omen; something really blessed was coming. Sure enough that same day, I received a call from my Realtor in Arkansas. An offer had been made on the house and the buyer wanted to close in three weeks on — November 23, Sai Baba's Birthday! My Florida house was scheduled to close on the 22nd of November, but I was able to push it forward to the 29th. The house in Arkansas did sell on November 23, 2004. Needless to say, Swami made good on His promise. God is so great! I would like to show video selections I put together of my trips through India and some of the incredible leelas that demonstrate Sathya Sai Baba's Omnipotence, Omniscience, and Omnipresence. During the 2009 trip I visited Madurai temple, Haridwar, Rishikesh, Yamunotri, Gangotri, Kedernath and Badrinath. In 2012 I went with some members of the Cocoa Sai center in Florida, Andrew, Teresa, Yolanda and my husband David to Haridwar, Rishikesh, Badrinath. Also, New Delhi, Mumbai, Mysore and Sai Baba's Mahasamadhi in Prashanti. Om Sai Ram! Thank you!